Saltire Custom Creations Kim`s Map This design was originally a custom created by request by a lovely lady called Kim.The design concept is based on her ideas and feelings regarding the current Brexit situation and the fear and insecurity her and so many others are facing at present.The words engraved are also Kim's and below she explains how her concept was born into the design. Please let me tell you about this very special request of mine and why it means so much to me. And please do share this, if you get the sentiment behind it. It's encompasses so much, a stunning creation by Miss Babington of saltirecustomcreations.scot I call Scotland my home. 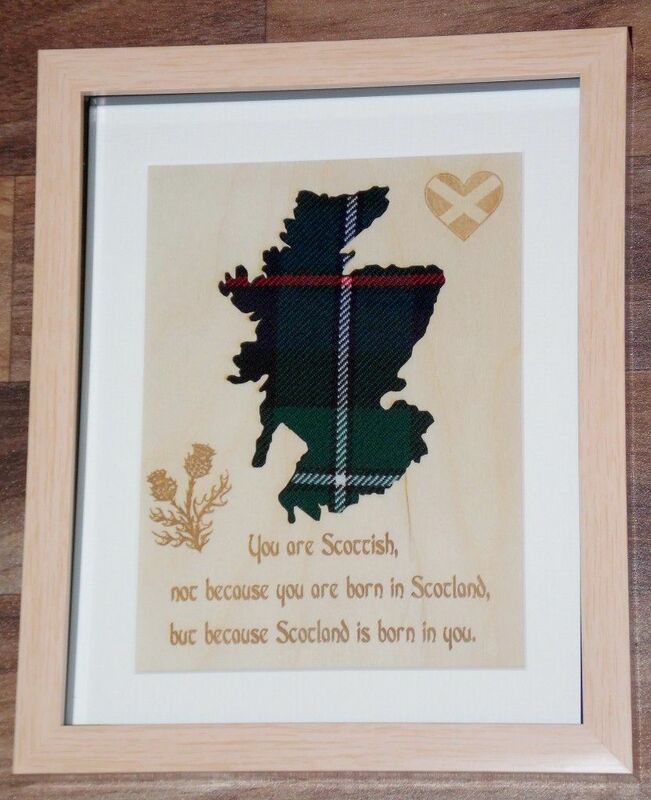 But like so many new Scots, I wasn't actually born here. That difference doesn't really matter though. When I first mentioned my plans to move to Scotland, I was overwhelmed by the friendly welcome. The rise in xenophobia elsewhere is in stark contrast to this, which is very much that of a welcoming, inclusive nation, where nationality is based on civic identity. 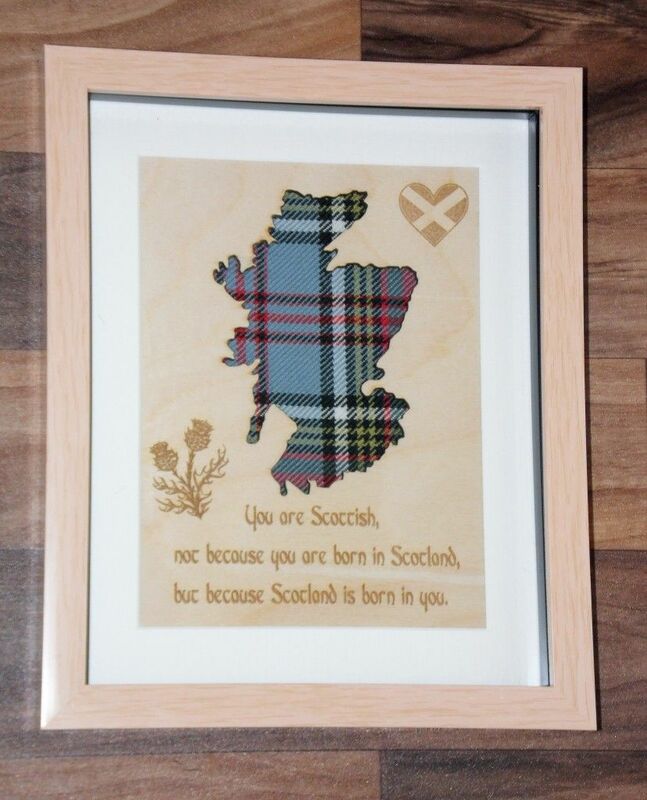 It truly does not matter where you came from, if you wish to make Scotland your home. Right now, this welcoming Nation, faces being dragged out of the EU against our will. People like me, who call Scotland home, might be kicked out due to the hostile environment of the UK government and the Brexit madness the Tories caused. Scotland doesn't want this to happen. These are scary times, with lots of uncertainty and anxiety. EU citizens are being used by the Tories as scapegoats & bargaining chips, called citizens of nowhere and queue jumpers. While Scotland calls us fellow Scots, friends & family, stands up for us and wants us to stay. The contrast couldn't be more stark. If you were born anywhere else (and that includes England, despite what some people want to make you believe! ), I am sure you will feel welcome here. Of course we have our fair share of idiots, but they are outnumbered by good people! I've always loved the look of tartans, even long before calling Scotland my home. 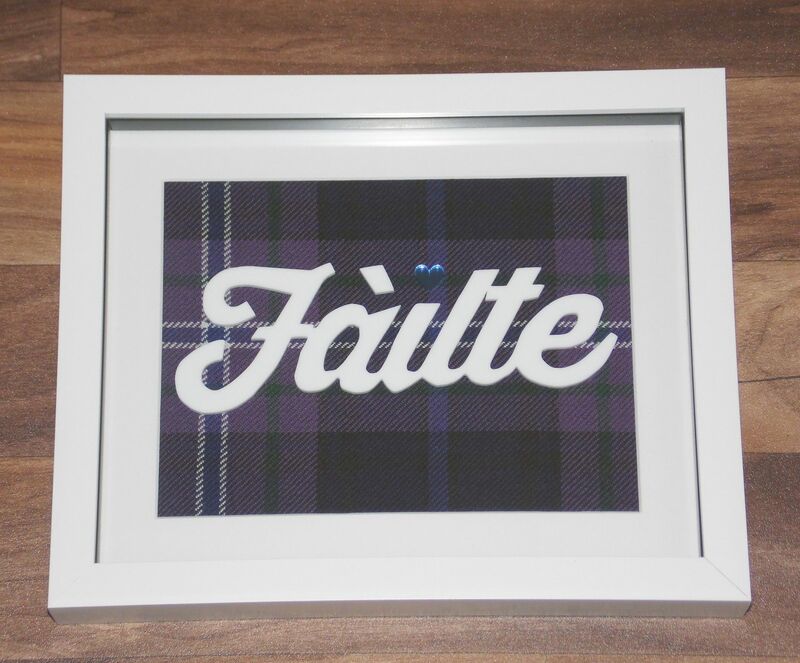 Many Scots have their own family tartan, or a tartan they are connected to and I always love to see someone wear it proudly. 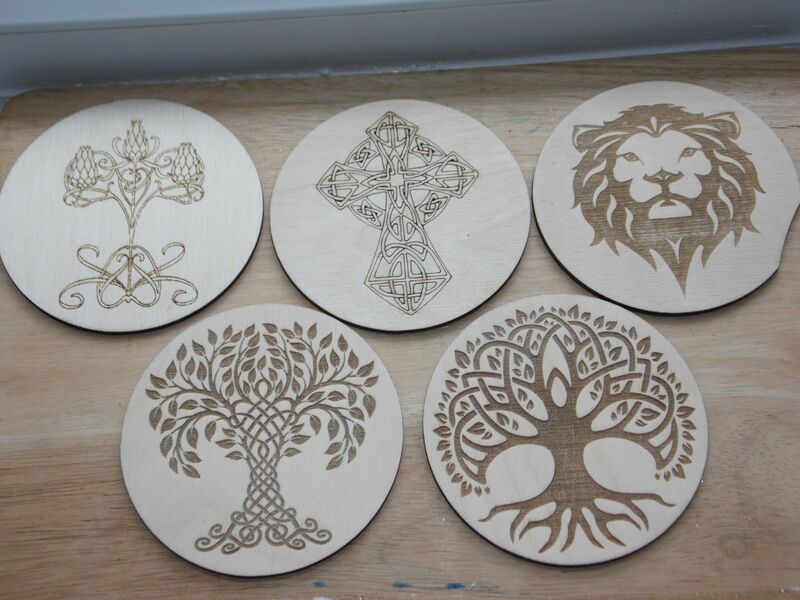 As a new Scot, I just adopted them all!So my idea for this custom design was born. And the amazingly talented Miss Babington made so many of my thoughts and emotions come alive in one frame. A Saltire heart. The Scottish thistle. The saying. And a map showing the colourful diversity of Scotland in tartans. It is a truly stunning work of art and does make me emotional. It encompasses not only the welcoming nature of the Scotland that I love and call home, but also my love & fear of losing my home, and it highlights the diversity of Scotland and the people that make it what it is. I am very much convinced that Scotland will be an independent Nation one day soon. The madness of brexit and the hate elsewhere right now just help to highlight how different we already are and want to be and how much hope there is for a better future for all of us here. And hope is very much needed during these dark days. So huge thanks go to @MissBabington for capturing all of this so beautifully! 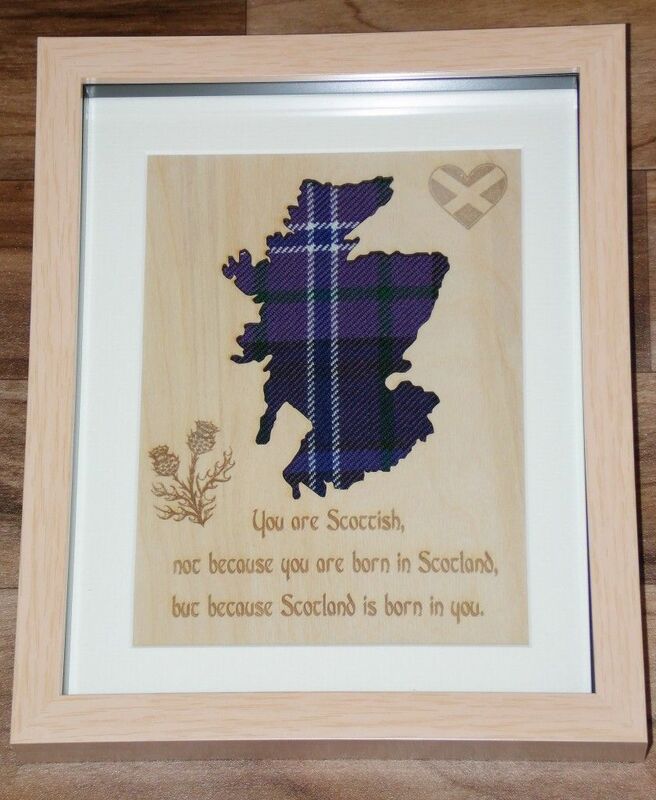 Kim`s original concept based map design is now available with the standard one tartan choice also.They come in a standard wooden box frame measuring 10" x 8" which can be freestanding or wall mounted. 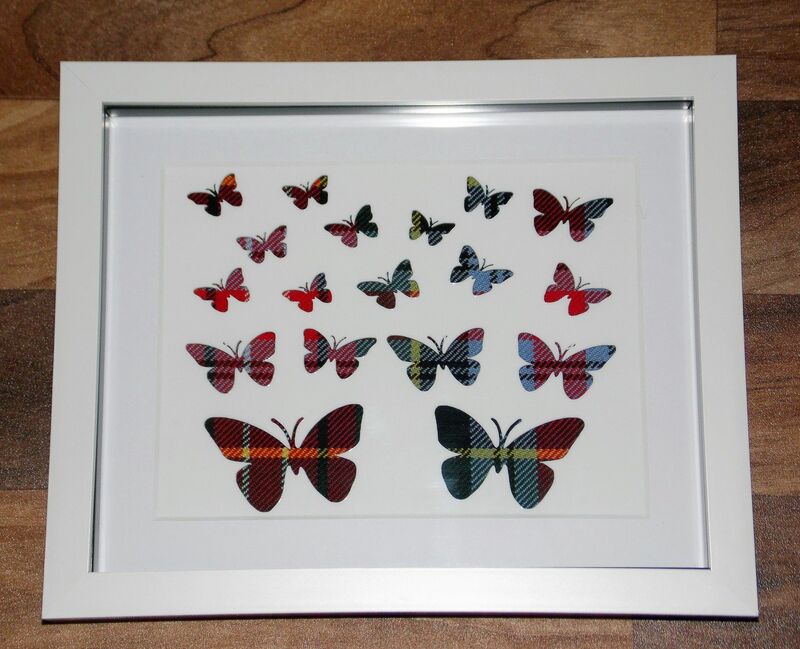 Please note each tartan is ordered in separately and normally takes 7-10 days to arrive so please take this into consideration if ordering for a special occasion. 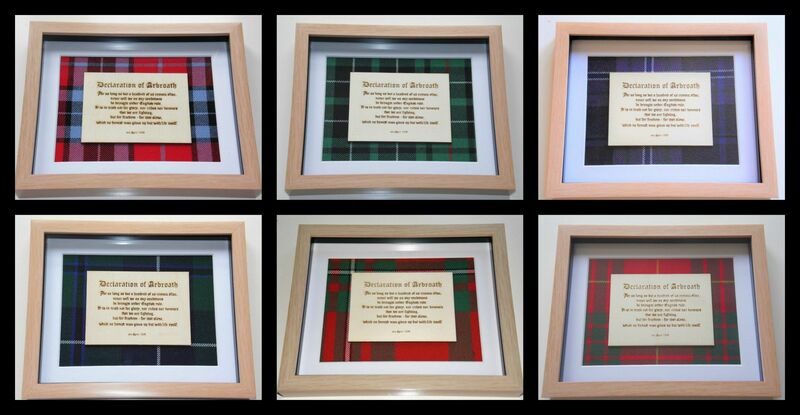 Please note each tartan is ordered in separately and normally takes 7-10 days to arrive so please take this into consideration if ordering for a special occasion. Price includes 1st class post.